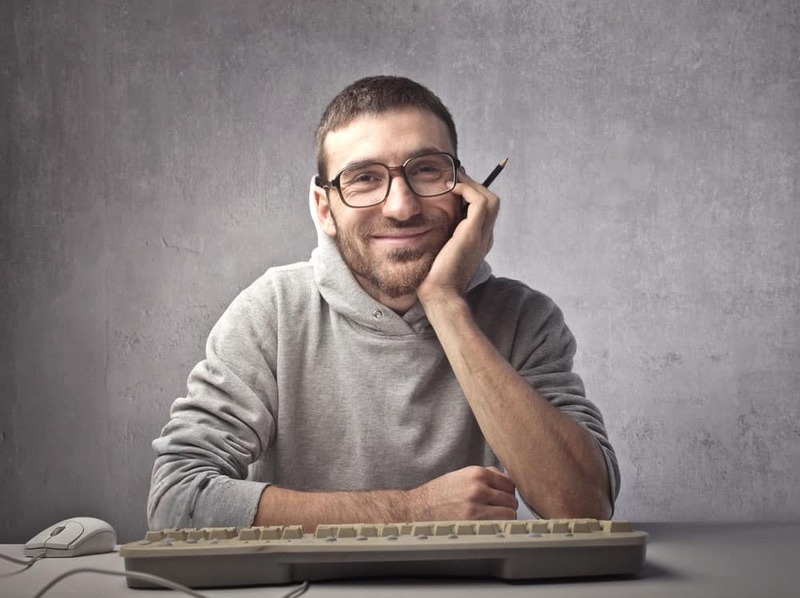 Here at ThisBlogRules we all love music. 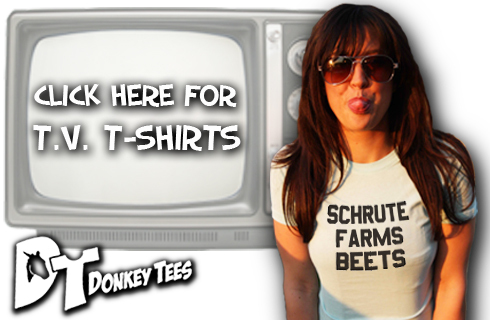 Be it rock, pop, hip hop or any other style of music, they all have something in common. In order to be created, music needs instruments, and one of the most common instruments used to make contemporary music is, of course, the guitar. 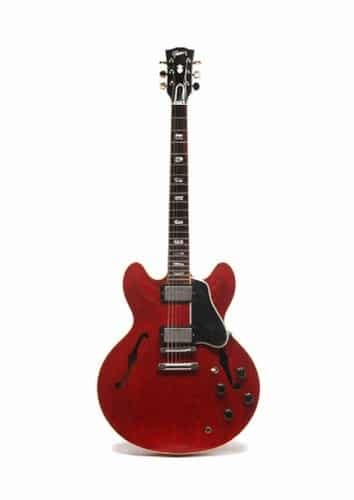 There are thousands of models of guitars out there: some of them are very affordable and everyone can buy one, others are more expensive than a house. We want to share with you our list of some of the most expensive guitars ever sold. One of the most popular Fender guitar models is the Telecaster. 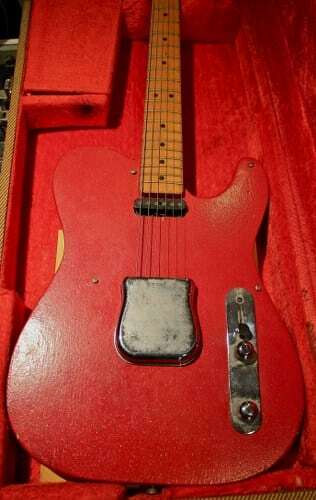 The granddaddy of Telecasters was this 1949 prototype guitar called Fender Broadcaster. 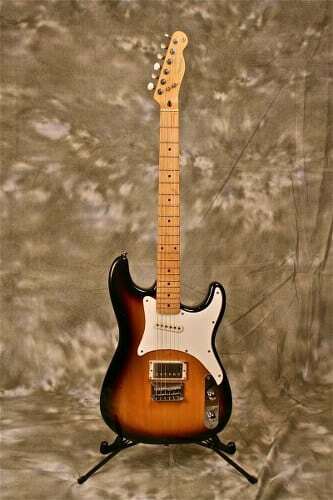 It was made by the guy who gave the Fender guitar its name, Leo Fender. One of the most expensive guitars ever sold belonged to the Beatles stars John Lennon and George Harrison. This 1964 Gibson SG was used by both between 1966 and 1969, during the Revolver and the White album. When talking about the most expensive guitars ever sold we need to mention the 1965 Fender Composite Stratocaster that belonged to Stevie Ray Vaughan. 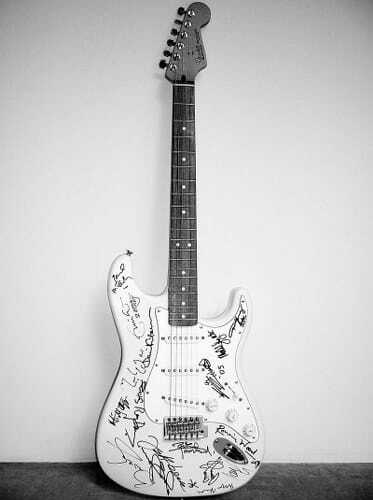 The guitar, named Lenny, was given as a present by Stevie Ray Vaughan for his 26th birthday in 1980. Another expensive guitar that was owned by Eric Clapton, this time a CF Martin & Co model. This one was sold for a noble cause: to raise money for Eric Clapton rehabilitation center called Crossroads. 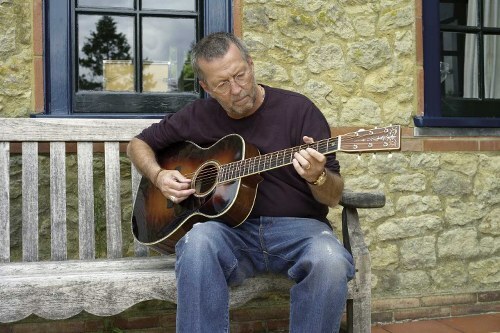 Eric Clapton owned some of the most expensive guitars in history. 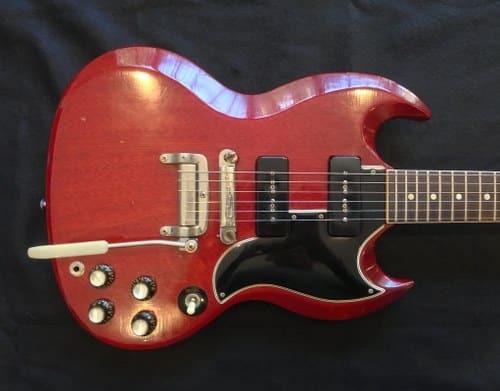 This 1964 Gibson SG was used by the musician around 1964. 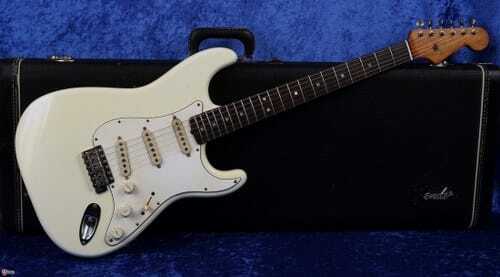 Another guitar from Eric Clapton’s collection was this Fender Stratocaster hybrid. It was used in the 1970s when Clapton switched from playing Gibson guitars to Fender Stratocaster ones. 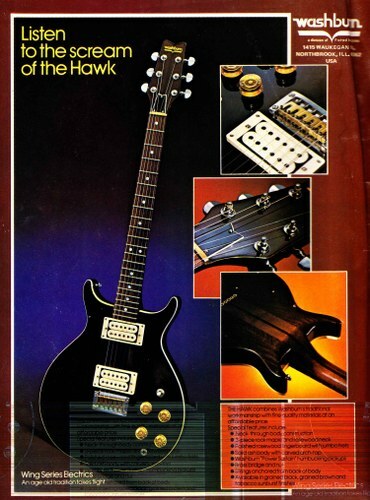 This $959,500 guitar was named Blackie. This is one of the most expensive guitars in the world and it belonged to the king of reggae music, Bob Marley. It is actually classified as a national treasure by the Jamaican government. 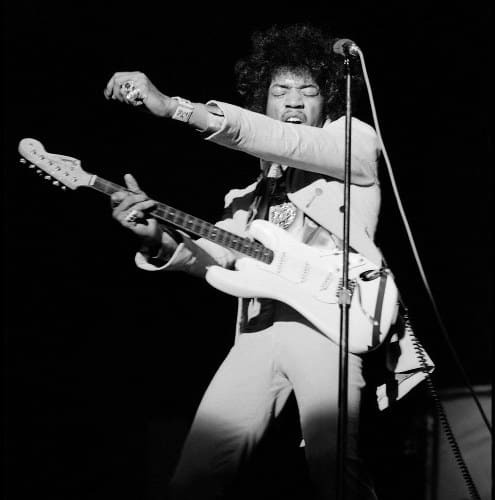 The king of guitar playing, Jimi Hendrix played this expensive guitar model at Woodstock in 1969. Some say that it was bought by Microsoft guru Paul Allen in 1998 for $2 million. We wonder if Paul Allen can play guitar. This is the most expensive guitar ever sold, so far. It was actually sold at an auction in 2005 to raise funds for the Reach Out to Asia charity campaign, to help the victims of the tsunami. 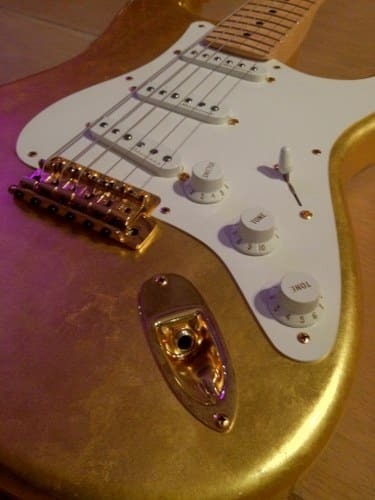 This $2 million Fender Stratocaster is signed by some of the most iconic rock stars ever: Mick Jagger, Keith Richards, Brian May, Eric Clapton, Jimmy Page, Paul McCartney, Sting, David Gilmour, Liam Gallagher, Bryan Adams and others. If any of you want to start a band and need to buy a guitar, our top most expensive guitars ever sold can inspire you…to look for cheaper guitars.